Access the world’s most popular web-based survey solution right from Microsoft OneDrive. 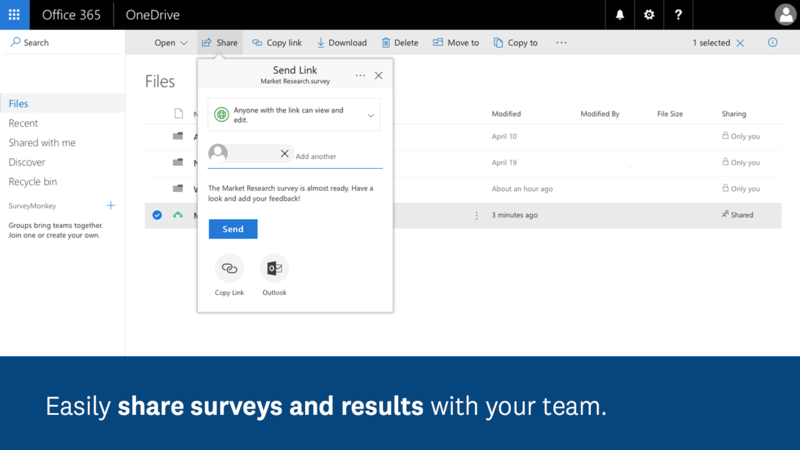 Now you can conveniently create and manage survey projects alongside the rest of your files, and easily send survey previews and response you've collected to others you’re working with. 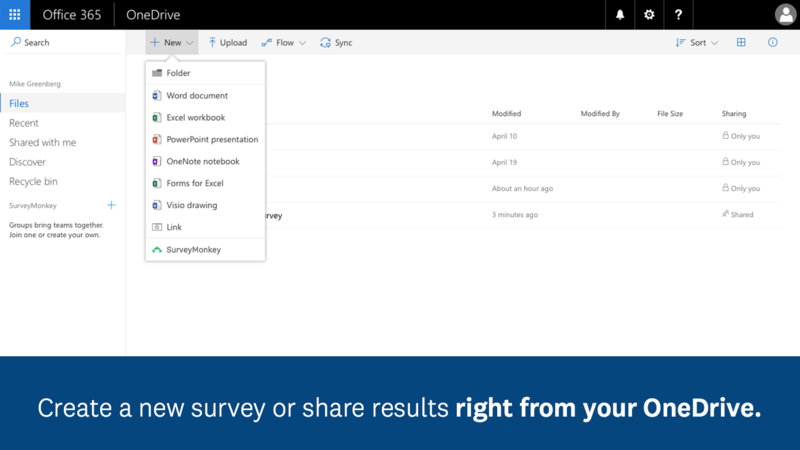 Easily create surveys—Just choose New > SurveyMonkey in OneDrive to create a new survey. Get started quickly with templates and pre-formatted questions designed by survey scientists. 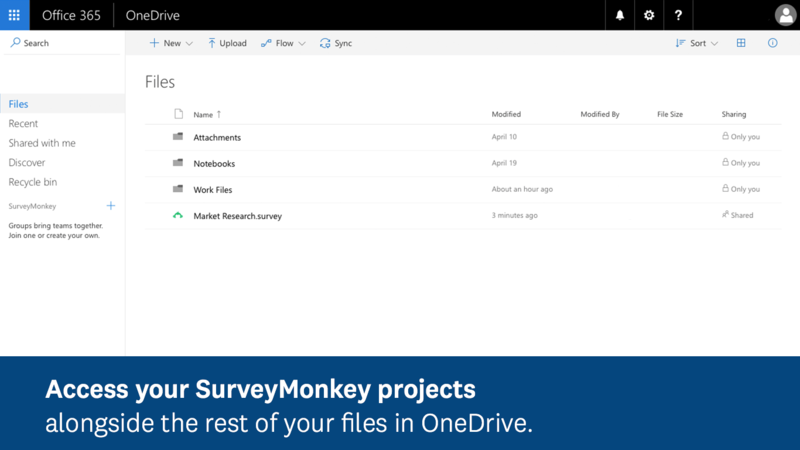 Stay organized—SurveyMonkey creates a file for each survey you create or share in OneDrive, so you can keep it handy alongside your other files for any project. Share it with someone else, and we’ll make sure they’re able to preview your survey and results. 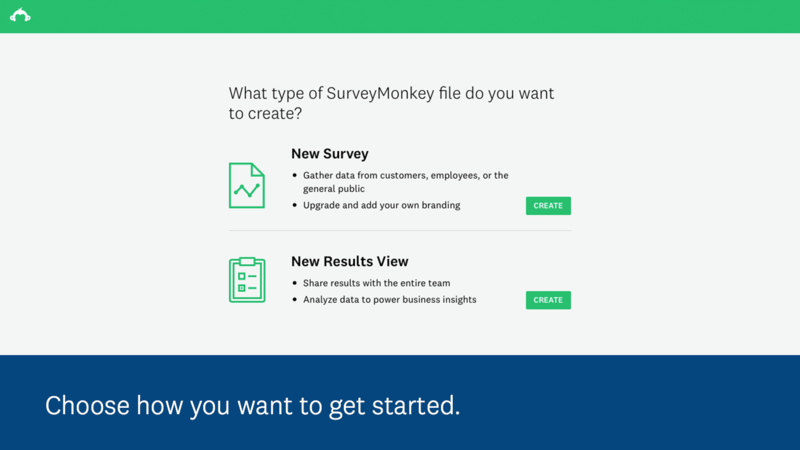 Automate your storage—Enable syncing of your surveys and responses to OneDrive automatically when they get created within SurveyMonkey. Sit back and let us do the work.